BASI Heating is the leading central heating specialists in Yorkshire and that means that if you have taken to decide to have a new boiler installed, you can be assured that our industry leading products and services can make sure that any boiler installation in Bradford is made as stress-free as possible. With over 25 years in the business, our fully Gas Safe registered engineers have been providing superior service throughout the Yorkshire region and with thousands of happy customers, we take our dedication to offering the best products and services at competitive prices with 5-star customer service very seriously. Our experience and dedication to excellent service have allowed us to be able to listen to our customers and streamline our working process to make having a new boiler installed faster and as hassle-free as possible. Named as the number one boiler and central heating company in Yorkshire by our customers through TrustPilot, you can now be sure that BASI Heating are the smarter choice for boiler installation, repair and servicing. Looking for a new boiler installation in Bradford? Making sure that your boiler is running efficiently will not only keep your energy bills low but it will also help you to avoid any unexpected breakdowns based on elements of your boiler that suffer from wear and tear and BASI Heating have worked hard to make sure that having your boiler serviced is now easier and more accommodating than ever before. We have worked hard to make our fixed price of just £65 one of the most competitive in the business, meaning that keeping your boiler running at its best has never been so affordable and we’ll even do the service on a date and time to suit you. Our Bradford boiler service engineers are fully Gas Safe registered and are vastly experienced with ensuring that your boiler is keeping up with the demands that use could have placed on it, saving you money and giving you the peace of mind that your boiler is free from any possible leaks or potential issues. We realise that not everyone has the time to keep their annual boiler service date at the forefront of their mind too, so in order to make things easier for you, we even offer a boiler service reminder programme that will allow us to tell you when your next boiler service is due so that you can book an appointment to suit your schedule. Being without heating or hot water is one of the most inconvenient things that we can think of and that is why we know that if your boiler has a problem, you want it fixing as soon as possible and the boiler back to working order. BASI Heating is one of the leading Bradford boiler repairs and replacement specialists in the business and our engineers come with the full intention to have your boiler back up and running on our first visit every time. 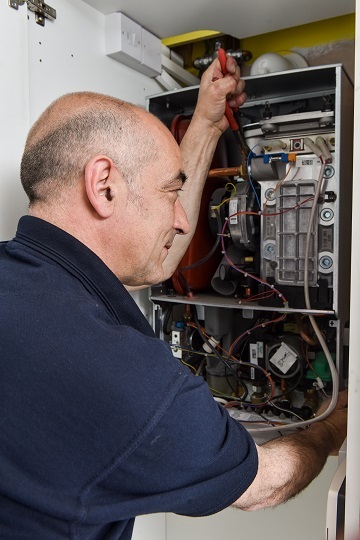 Unlike some of our rivals, all of our boiler repair engineers are fully equipped with a wide range of common boiler parts, ensuring that once they have diagnosed the technical problem with your boiler, they can install the part needed faster than ever before – No need for a second visit. In the rare event that your boiler requires a part that our engineer doesn’t have available to them, they can contact our ordering hotline and the part will be with them in next to no time, keeping the length of time that you have no heating or hot water to a minimum. 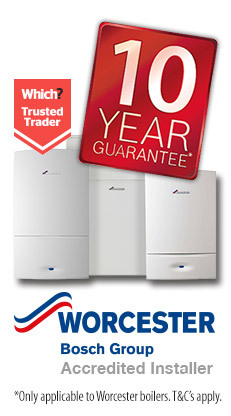 As BASI Heating strive to ensure that we only offer the best products and services that the market has to offer, we work closely with industry leaders Worchester Bosch and Vaillant to only use the best boilers and parts that the business has to offer. This means that all of the boilers that we install are provided with a range of manufacturer’s warranty, ranging from 5 – 10 years, giving you complete peace of mind and reassurance that your new boiler will be energy efficient and cater for your needs for the significant future. While all of the boilers we install come with a warranty, BASI Heating also provide our customers with our very own 2-year warranty on all pipework and materials used to install your new boiler into your property too, giving you even more reason to know that with us, you are in safe hands. We have even taken the hassle out of any reason that you could need to use your warranty too, offering you a central point of contact while any issues are being discussed with the manufacturers, acting on your behalf to get a quick resolution to the problems you may have encountered.